Its fairly simple if you are mechanically competent. Making a bracket and doing the install took me maybe 2 hours total? SH847 is maybe 2cm longer than FH020, so it wont fit where the stock regulator goes. FH020 fits in the stock location with some cutting of the battery box- but really- you would be MUCH better off moving it to the right side. The real issue is that there is *virtually zero* airflow over the R/R in the standard location. Just relocate it. Spend the money to do it right the first time. Yea just got around removing the damaged R/R, realized there is 0 airflow to it but i guess the i am only going to ride it 600 miles max a year,i just collected the bike on saturday, its my first ducati and so much to learn about it. 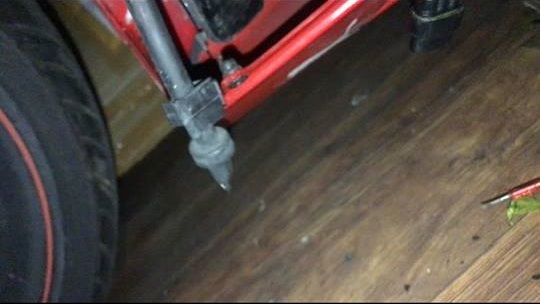 You can see the burnt wire on the rectifier, but it also damaged the wire on the bike side,the previous owner had direct wire it, any idea what connector and crimp do i need to get? also could i ask what is this long black tube? there seems to be a small hole in the bottom and had some oil leaking from it :O. Thank you so much, and sorry for the multiple questions. Now after hearing this, i just feel like getting the fh020aa and call it a day, does the panigale comes with a fh020aa as original? Is Shindengen the manufacturer for the oem ducati/yamaha etc r/r? 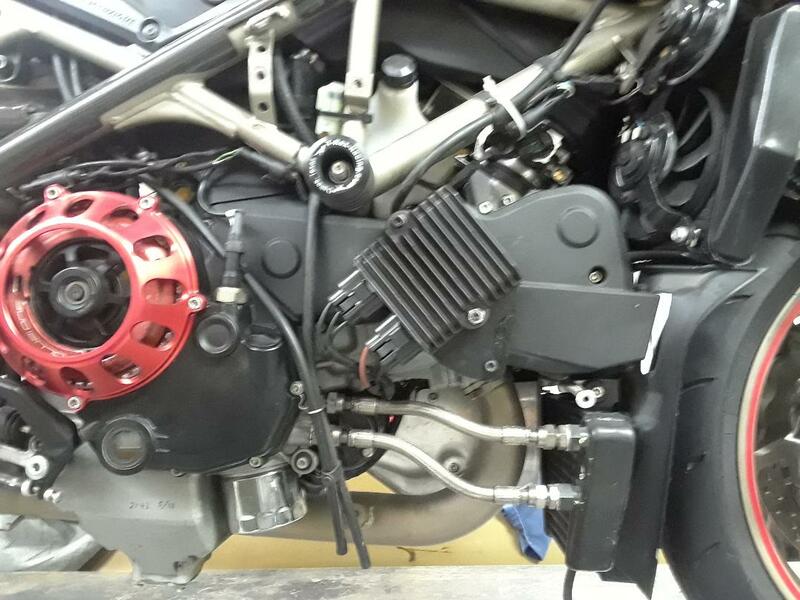 Just wondering thou there is a panigale 1199 breaking for parts and i could get a deal on the rectifier thou. It does, and they are. Probably better to buy *new* so you know that it actually works, but ok. Correct, SH847 replaces the 775 and is robust against higher rpm application but nonetheless still designed for the suzuki cruisers (boulevard?) in mind where idling rpm's are seen for the majority of the time and where the 847 should shine. I do believe where the 775 would fail, the 847 should be fine on most sport bikes. However there has been no users documenting the 847's performance on track thus far and oddly enough, none of the sport bikes rolling out this year have adopted the 847 for reasons unknown. Therefore, if you do plan on riding your ducati frequently at the track (which I do) where sustained high rpm is common, I would say the results are still unknown on the SH847. Given that the 847 is nearly 3x (or 5x in my case) the price of a FH020, I figured the odds were better such that I would have to replace 3x (or 5x) failing FH020 before I replace one 847. Second, the battery box does not need to be cut to fit the FH020. It is a direct replacement should you decide to go back to stock, nothing is changed. I actually purchased my Fh020 from a wrecked panigale with about 1200miles so it was almost 1/5 the price of a 847. A no brainer if you ask me! Stores like rubbersideup.com frequently part out new/totaled bikes for low prices. Last edited by VJ020; May 8th, 2018 at 05:30 PM. 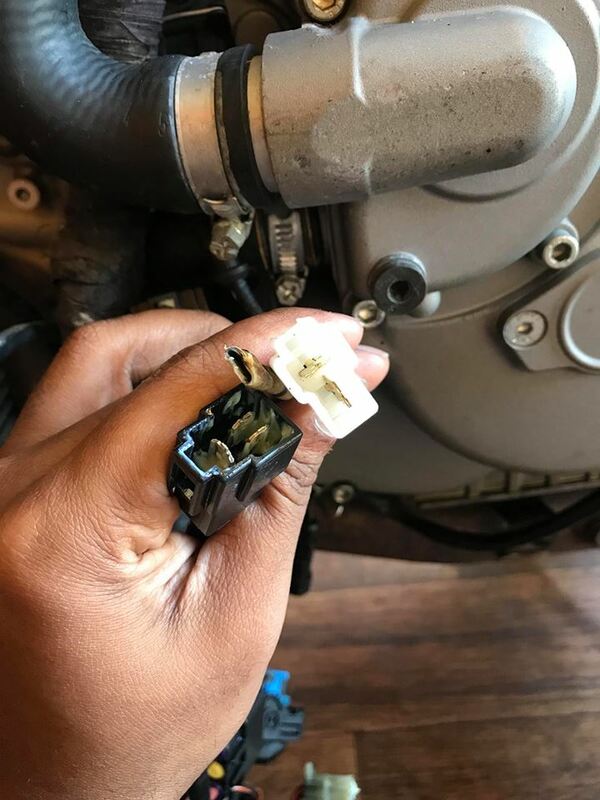 Thank you so much for the replies, finally received the r/r and the harness from triumph but ran into a problem now, as the picture below, the triumph harness is a male and my stator wires, 2 is male and one is female, any idea whats the term for this type of 'female' connector so i could crimp the new cables and get the correct socket? 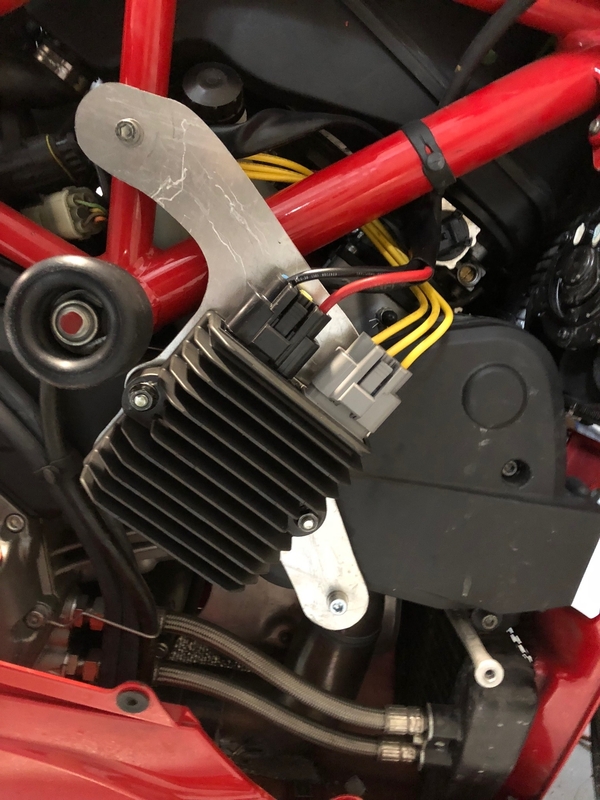 Just remove the plastic terminal from the stock Ducati R/R and install it on the end of the Triumph R/R harness. You shouldnt cut anything- just remove the plastic part and swap it over. i think should be this? 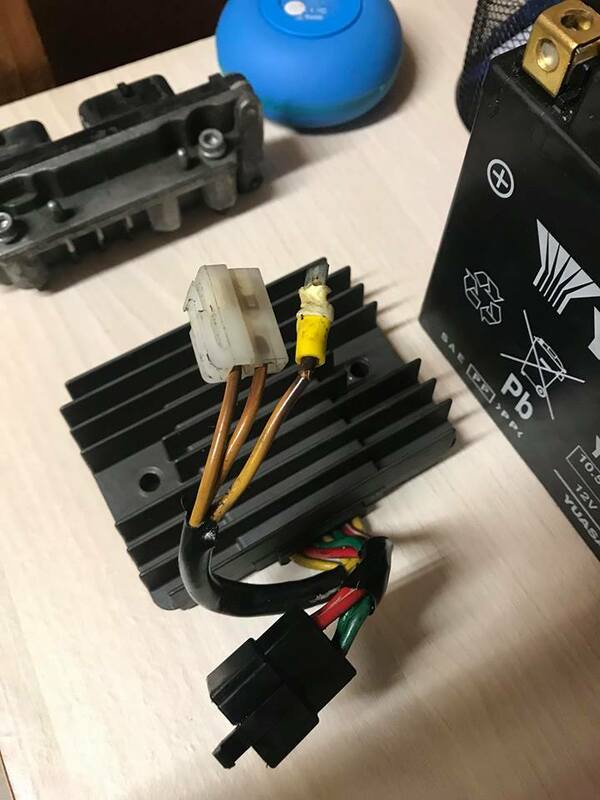 You can just splice the wires or put individual crimp connectors on the stator wires. There is no order to them. 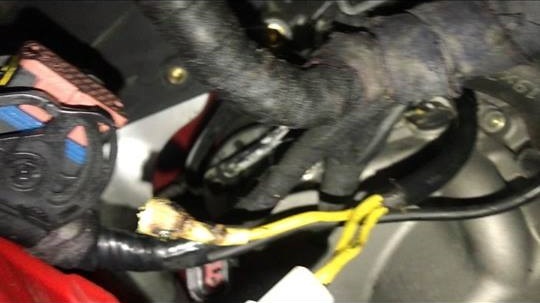 You need to cut off some more burned wire anyway. Got mine mounted and test fired today. Thanks for the help Jason. looks good, just got around hooking up mine too, charges at 14.1-14.3 at idle, guess its normal? But now my dash backlight is gone, there is no more teal illuminations, can anything be done? So the install is done and the SH847 works really well. You can put your bare hand right on it even after running the bike for a while. Voltage is very stable at 14.2 - barely fluctuates even with changing loads and rpm. I ran the wiring up and through the valley to keep it away from the exhaust. If you do this upgrade, make sure to order 36" stator wires so you can trim the original stator wires and have enough wire to route it nicely. I had to scrap my original bracket since it allowed too much vibration. New bracket goes from forward exh. servo bolt hole to a lower horizontal belt cover bolt. Roadstercycle.com was very helpful. When I check the belt tension next time, I will trim the bracket down a bit. I figured better to make it more stout to start with and make it lighter later. greg328 and Tchase like this.